It is that time of year again: the leaves are going to be changing colors, the air gets a bit crisper and cooler, and the kids are getting used to a school schedule again. Before we know it September will turn into October, and Halloween will be here with all of the amazing costumes, decorations, and treats! This time of the year provides for some great books for toddlers that are fun, very creative, and great for improving your children’s apprehension skills. Everybody loves Halloween, so we might as well incorporate some good reading into the fun! Here is a list of 8 great Halloween books for toddlers that you might want to check out, as well as links to learn more about them! The Itsy Bitsy Pumpkin – A gently spooky twist on The Itsy Bitsy Spider, this books turns a favorite nursery rhyme into Halloween-themed fun! Seven Orange Pumpkins – A perfect read-aloud book for helping toddlers learn about colors and counting. It’s bright, bold, and fun story captures the imagination of even the little trick-or-treaters. I Love You, Little Pumpkin – An interactive cloth-covered book that encourages interaction on each spread and blends a heartfelt message with a touch of Halloween. The ending contains a mirror which reveals who is loved most of all, causing babies to giggle and toddlers to laugh with excitement. Splat the Cat: What Was That? – A favorite with all kids is Splat the Cat. Watch as your little ones listen intently as Splat decides if he wants to trick-or-treat at the scariest house on the block with his friend Spike. His pet mouse, Seymour, makes the decision for him as he runs into the house, causing Splat to rescue him. One, Two…Boo! – Another interactive flip book, the littlest of trick-or-treaters can life the flaps as they count their way through a spooky old house, and perhaps they will run into a surprise or two! The Spooky Wheel on the Bus – This is a humorous Halloween-themed version of the classic nursery rhyme, The Wheels on the Bus, with a few ghoulish tricks and treats up its sleeves! Peppa’s Pumpkin Party – Peppa Pig and her family are having a Pumpkin Party and everyone is invited to come dressed up in the spookiest costumes, even Madame Gazelle! Corduroy’s Best Halloween Ever! – This adorable book is about Corduroy and his plans to have a Halloween party with his friends. They will carve jack-o’-lanterns, bob for apples, and go trick-or-treating, but what will Corduroy choose as a costume? 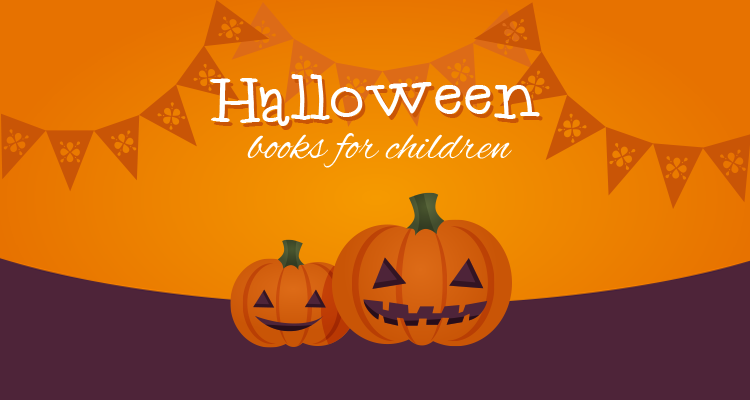 This list is just a few of the amazing Halloween books out there for toddlers. Take a look at your local library, book store, or online distributor for more titles that your little ones might love! Do you have any Halloween books that your kids look forward to every year? Or have you read some of the books on this list? Let us know in the comments! Rhianna Hawk on How Does Art Benefit Children?